Coffee is part of many cultures all over the world, and each culture has its own rituals regarding "kafe," as we call it in Greece, where people of all ages go out at cafeterias not just to drink coffee but also as a way of entertainment and social activity. This cultural phenomenon can tell a lot about one's social and personal identity, according to the place, the type of coffee and the people involved. 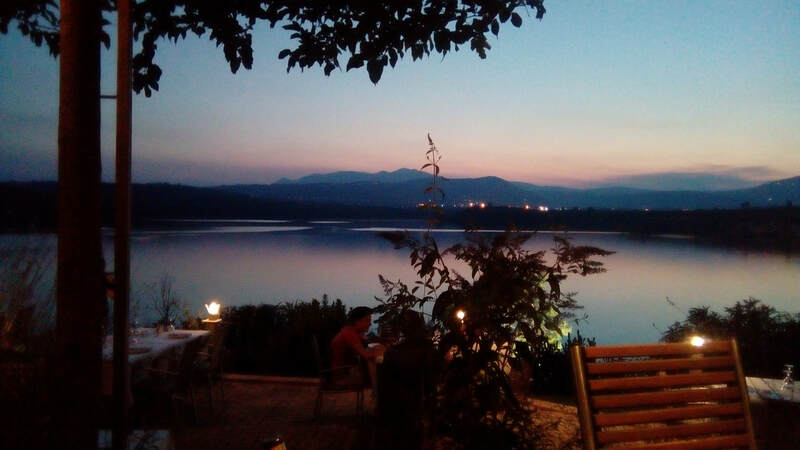 When you are in Greece, you can find a place to drink a coffee almost everywhere: from a luxurious cafe at the top of a five-star hotel to a small traditional "kafeneio" in an isolated village. Despite the economic crisis that stroke our country, Greeks continue to spend time in a cafeteria at least once per week, to meet their friends, to socialize, to enjoy the blue sky and the Greek sun, as a way to forget -at least for a few hours- their problems and relax. Going out to have a coffee this way, is a part of my national identity. The way we do this activity distinguishes us from an Italian, for example, who would wonder why we are sitting for so long and why we don't leave when our cup gets empty. It's not about the coffee; it's about all the rest. When I was 23 years old, and I had visited Israel, I was out with a friend, Avi, to have a coffee. He drank his coffee quickly and then he waited for me to finish mine, too. I was used to drinking my coffee without being rushed, but we didn't have much time, and we had to leave. So, I left some coffee in my cup. "Aren't you going to drink all your coffee?" he asked me surprised as if I had left something very precious into that mug. "Ok," I said feeling awkward, and I forced myself to drink the rest of the coffee while standing next to the table, ready to leave. 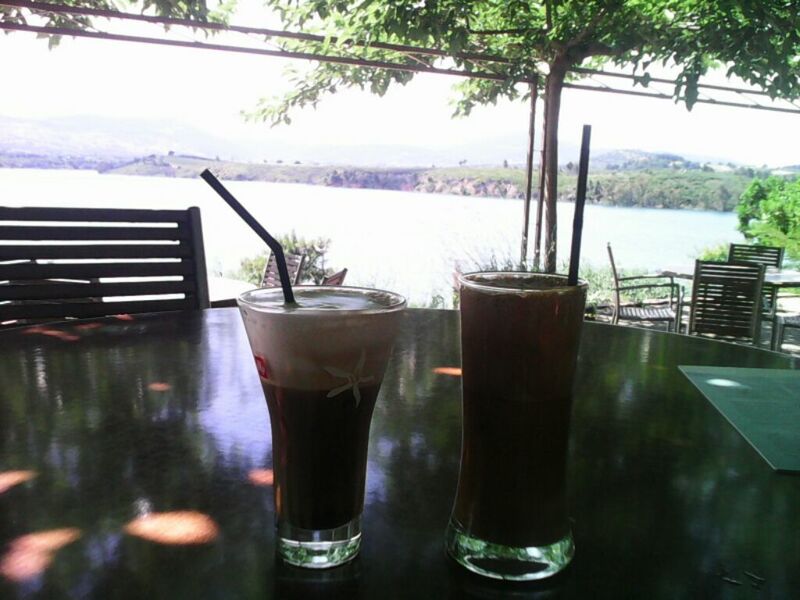 This would not happen in Greece, firstly because if we say that we go out to drink coffee, we don't mean it literally. We go out to enjoy the company or the place or the time, and that happens to include drinking coffee. Secondly, if we had to leave before we finish our coffee, we would ask for a plastic cup, and we would take it away. We drink coffee at home, at work, at a friend's house, at the car and wherever we want. Almost wherever we want, we can't do it at the train station. But when we decide "to go out for coffee" (this is the expression we use) it is like deciding for a restaurant or a night club. The place we choose tells a lot about our social and personal identity, as we are going to see next. When I was a student, my small budget and my age influenced my choices. My friends and I would choose places that were considered "cool" for boys and girls of my age. However, we would not go to expensive cafeterias or in isolated places, as we needed to socialize. Moreover, the place should not be far away because we would take the bus or the train. When a friend could take a car, it seemed like a road trip to heaven! Now, in my thirties, I have entirely different preferences, which reflect my current social and personal identity. I always want the place to have something special, for example, a view of the sea or beautiful mountain surroundings. One of my favorite places is at Marathon Lake, in the northern suburbs of Athens. The view from the Lake Marathon. If I have to go out for a coffee only to see walls, tables, seats, and people, why don't I stay home? I go out to relax and to enjoy a cup of coffee, the view and the time spent with people I love. Even if the place is a bit more expensive, I am willing to pay if it is worth it. I do not appreciate crowded places anymore; I prefer isolated "hidden paradises." Even if we should not "judge a book by its cover," the place one chooses might tell us something about his age, social class, personality and other characteristics that shape our personal and social identity. In my case, my coffee drinking habits changed, as my age and social status changed. We also have a kind of instant coffee, "frape," that we drink cold in the winter and hot in the summer. We have French or American coffee, Italian espresso and cappuccino and numerous other -ccino coffees: mochaccino, freddoccino, frappuccino and whatever taste you can imagine with the -ccino suffix. My preferences, though, are classic: cappuccino with cane sugar and cinnamon or French coffee with cane sugar and milk. The use of cane sugar instead of white sugar could indicate a female and her attempt to control her weight. The preference of Italian or French coffee over Greek types of beverages might reflect my age, given that older people tend to prefer Greek coffee. Such small details are related to my identity as a young Greek woman and my personality. Why going out to a particular place, ordering a special coffee and spending time with specific people is so important? If isolated, a phenomenically ordinary action, like this habit of going out to have some coffee, might seem insignificant. But if seen from a time and space distance, we can identify patterns, like, the kind of coffee older people prefer or the places where younger people hang out. The details of this ritual reveal who I am now, but they don't explain why, until we focus on some qualitative characteristics. The more ordinary this habit seems, the more important it is for my identity. All these cups of coffee have been accompanied by conversations, favorite music songs, secrets, laughs, cries, hugs, kisses, hopes, plans, love, pain, emotions, and memories of a life that have shaped my identity and have made me who I am. Coffee is part of many cultures all over the world, and each culture has its own "rituals" regarding "kafe," as we call it in Greece, where people of all ages go out at cafeterias not just to drink coffee but also in the way of entertainment and social activity. This "cultural phenomenon" can tell a lot about one's social and personal identity, based on the place, the type of coffee and the people involved. Almost everywhere one can find a place to drink a coffee: from a luxurious cafe at the top of a five-star hotel to a small traditional "kafeneio" in an isolated village. Despite the economic crisis that stroke our country, Greeks continue to spend time in a cafeteria at least once per week, to meet their friends, to socialize, to enjoy the blue sky and the Greek sun, as a way to forget (at least for a few hours) their problems and relax. Going out to have a coffee this way, is a part of my national identity. The way we do this activity distinguishes us from an Italian, for example, who would wonder why we are sitting for so long and why we don't leave when our cup gets empty. It's not about the coffee; it's about all the rest. When I was 23 years old, I had visited Israel, and I was out with a friend, Avi, to drink coffee. He drank his coffee quickly and then he waited for me to finish mine, too. I was used to drinking my coffee without being rushed, but we didn't have much time, and we had to leave. So, I left some coffee in my cup. "Aren't you going to drink all your coffee?" he asked me surprised as if I had left something very precious into that mug. "Ok," I said feeling awkward, and I forced myself to drink the rest of the coffee while standing next to the table, ready to leave. This would not happen in Greece, firstly because if we say that we go out to drink coffee, we don't mean it literally, but we mean "we go out to enjoy the company or the place or the time, and that happens to include drinking coffee." Secondly, if we had to leave before we finish our coffee, we would ask for a plastic cup, and we would take it away. We drink coffee at home, at work, at a friend's house, at the car and wherever we want. Almost wherever we want, we can't do it at the train station. But when we decide "to go out for coffee" it's like deciding for a restaurant or a night club. The place we choose tells a lot about our social and personal identity. When I was a student, my small budget and my age influenced my choices. My friends and I would choose places that were considered "cool" for boys and girls of my age. However, we would not go to expensive cafeterias or in isolated places, as we had a need to socialize and it should not be away because we would take the bus or the train, that limited our choices. When a friend could take a car, it seemed like a road trip to heaven! Now, at my thirties, my partner and I have entirely different preferences, which reflect our current social and personal identity. I always want the place to have something special, for example, a view of the sea or beautiful mountain surroundings. 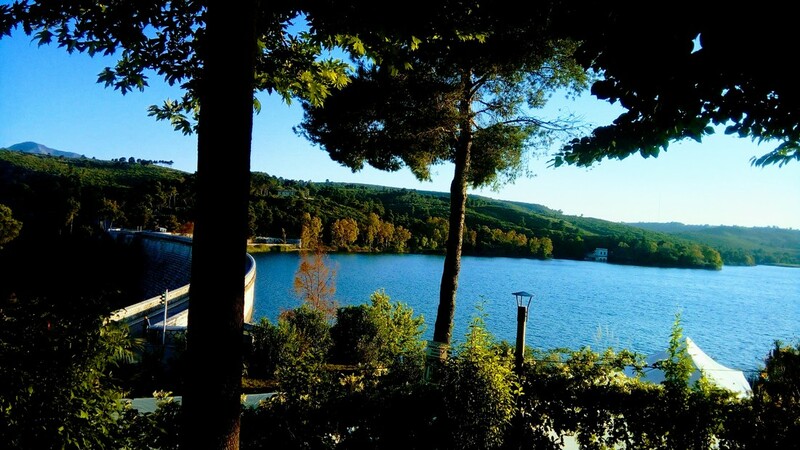 One of my favorite places is at Lake Marathon, in the northern suburbs of Athens. Whoever has visited this place knows what I am talking about. I say "If I have to go out for a coffee only to see walls, tables, seats, and people, why don't I stay home?" I go out to relax and to enjoy a cup of coffee, the view and the time spent with people I love. Even if the place is a bit more expensive, I am willing to pay if it is worth it. Moreover, I do not appreciate crowded places anymore, and I prefer isolated "hidden paradises." Even if we should not "judge a book by its cover," the place one chooses might tell us something about his age, social class, personality and other characteristics that shape our personal and social identity. I don't know if there is any other country in the world that has as many types of coffee as Greece. Our traditional "Greek coffee" is served black, with sugar, with honey, with or without milk, in small cap, in a large cup, made on the gas stove or at the "chovoli" (a kind of sand). We also have frape, cold, hot; we have French or American coffee, Italian espresso and cappuccino and numerous other -ccino coffees: mochaccino, freddoccino, frappuccino and whatever taste you can imagine with the -ccino suffix. My preferences, though, are classic: cappuccino with cinnamon and cane sugar or French coffee with cane sugar again and milk. The use of cane sugar usually instead of the usual one might indicate a female and her attempt to control her weight. The preference of Italian or French coffee over Greek types of coffees might indicate my age, given that older people tend to prefer Greek coffee. You might see a person being alone at a cafe and read a newspaper, a book, a magazine or just relax. Someone else who is also drinking coffee alone might comment the weather, and a conversation starts. Suddenly, those two become instant friends, and they chat. A German, for example, who is not used to such "instant friendships" would find it difficult to understand, however, someone from Argentina could relate to it, as this openness to strangers is more common there. Some couples go out for coffee to spend time romantically, to bring back the passion, to escape from their routine, others to show off their companion or their relationship. Friends, families, relatives, share some coffee, along with news, emotions, opinions. Groups of people who have in common a hobby, also meet up for a cup of coffee and conversation. As an aquarist, I used to meet up with other members of an online community to spend time together talking about our hobby, helping each other, exchanging not only opinions but also equipment, plants, fish and other things. This face-to-face coffee ritual enhanced the bond of the online community and my participation as its member. Why going out to a particular place, ordering a special coffee and spending time with specific people is so important? If isolated, a phenomenically ordinary action, like this habit of going out to have some coffee, might seem insignificant. But if seen from a time and space distance, we can identify patterns, like, the kind of coffee older people prefer or the places where younger people hang out. The details of this ritual reveal who I am now, but they don't explain why, until we focus on some qualitative characteristics. The more ordinary this habit seems, the more important it is for my identity. All these cups of coffee have been accompanied by conversations, favorite music songs, secrets, laughs, cries, hugs, kisses, hopes, plans, love, pain, emotions, and memories of a life that have shaped my identity and have made me be the person I am. Would you like to see my second writing project?